The sun is setting and the sky is redolent with the jewels of summer. 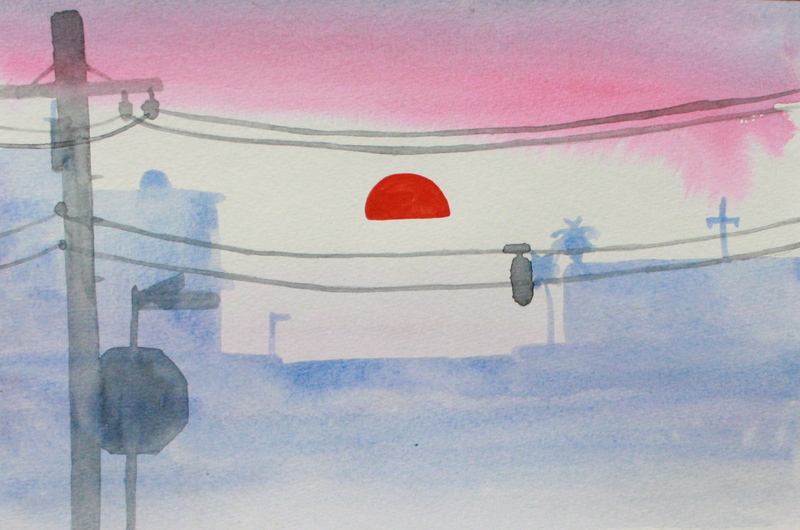 As I walk Riley-dog, chasing pokestops and daydreaming, I’m reminded of these sweet watercolors. 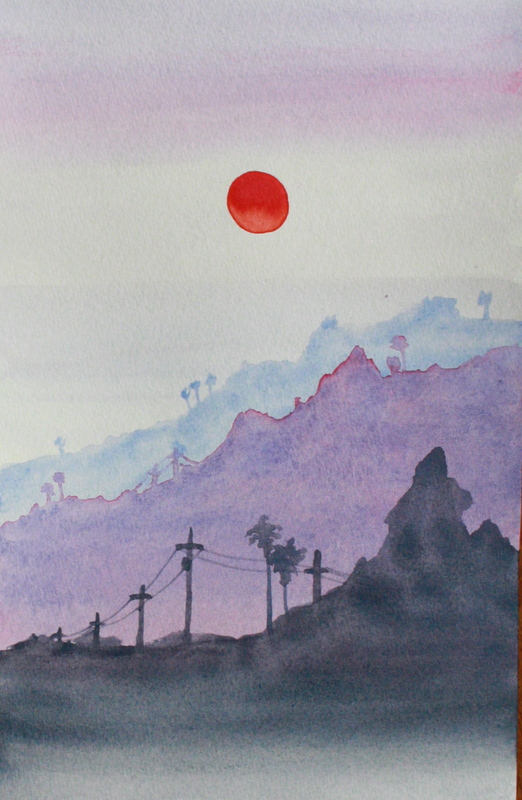 All three painting of Los Angeles at sunset are 9×6, watercolor on 140lb cotton paper. $145 each, framed. 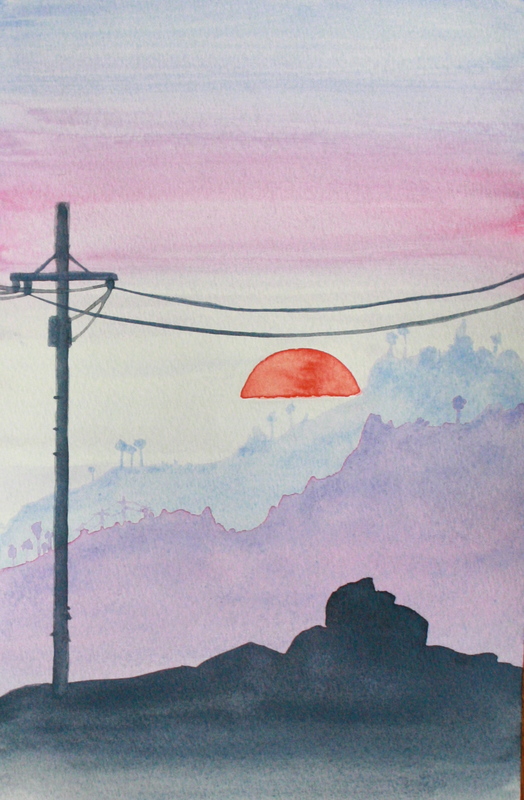 Sunsets continually to be so very evocative don’t they. it’s the one view we never tire of no matter where in the world we are! Indeed. And sunrises too. Just the best.